If one of God’s most important calls to us is the call to be a servant, doesn’t it make sense that we need to incorporate that service into our daily lives. That means being a servant where we work. That means being a servant in our own homes. If we don’t serve those with whom we spend the most time, those whom we love the most, then servanthood is half hearted at best. How can I be a servant at home? Here’s a few ideas suggested by Galatians chapter 5. Ask yourself: is my home a place of indulgence, or service? You see, an opportunity to serve is also always an opportunity to indulge. Nowhere is that so true as in the home. Nowhere is our human tendency towards selfishness seen so clearly as in the home. What are you doing with your opportunities? Are you taking advantage of your family? Perhaps you’re taking advantage of their work by your laziness or of their forgiveness by your anger, or their giving by your taking? 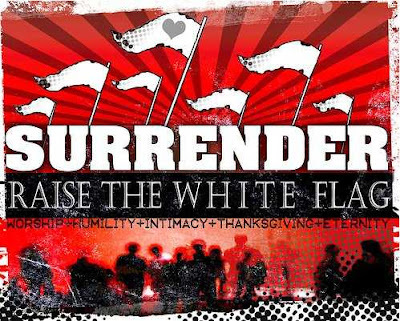 Servants surrender their heart to the guidance of God’s Spirit. What makes me into this servant type of person? God's Spirit! Some specific surrenders need to happen in your heart for your home to become a place of service. Wait a minute, you might be thinking. Isn’t this church stuff. What does the Holy Spirit have to do with my family? Everything! Eph. 5:18 tells us, “Be filled with the Spirit,” and then spends the rest of the chapter talking about what that does in our families! Being filled with the Spirit gives us the power to make those specific surrenders that make a family strong. He enables us to surrender our plans and our agendas and our desire to have OUR needs met in order to love others. Your family life does not have to be determined by how you were raised, not if you surrender. It does not have to be governed by how it has been, not if you surrender. It does not have to be limited to what it is now, not if you surrender. Family Discussion Question: Where is it difficult for you to surrender yourself to God’s daily direction? Children’s Activity: Use a white flag to illustrate to your kids the idea of surrender. Talk about how waving it shows that you’re giving up what you want to give someone else what they need. Use some practical illustrations like which TV show you watch or who gets to sit in the best seat in the car.